All members are welcome – please reply to this email if you intend on coming so that we can get an idea of the numbers to expect. Nominations for committee positions are also welcome. Beyond the monthly committee meetings, ideally candidates should have the time and energy to contribute to our on-going campaigns. If you don’t have the time but would like to support the cause, then please consider becoming a CBT financial member or renewing your membership for the year by signing up here. Remember the CBT is purely voluntary so any money we raise goes on the direct costs of campaigns. We are inviting any political party with a policy on transport for Auckland in this year’s general election to a debate on the 27th August. This will be held at the refurbished Ellen Melville Hall at Freyberg Square, from 7:30pm. Save the date! We will have more details closer to the time. We’ve been busy making representations to the Board of Inquiry into the Puhoi Warkworth Toll Road. Not many realise that the toll road will only be 700m shorter than the existing road, with a travel time saving of only three minutes for those travelling further north. For those travelling to Warkworth or the Matakana beaches, travel time savings are likely to be about zero minutes, because of the backtracking required from the northern tie-in of the project, which is almost 2km north of the Hill St intersection. In short, the project does not stack up environmentally or economically. CBT engaged barrister Rob Enright to write a closing submission from a legal point of view. We filed our closing submissions on Wednesday of last week. 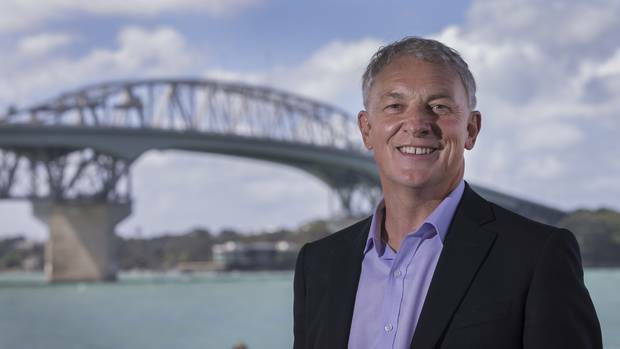 The Hearing was supposed to conclude last Friday, however it looks like the NZTA have been given leave to make their closing submission on Thursday of next week. You can read closing submissions on the EPA website. Jon Reeves is fronting the campaign to extend rail to Waikato, starting at Tuakau and heading south. Graeme Easte is trying to make progress from within Council on the issue of rail crossings. As rail service frequencies increase, it will be necessary to rationalise the number of crossings we have on the rail network, as well as make crossings safer for pedestrians and general traffic. This Wednesday we will be requesting the Auckland Council’s Infrastructure Committee to progress rail to Auckland airport. The new Auckland Council has been completely ineffective at protecting a route for a rail corridor. With the Government announcing its intention to speed up construction of a widened motorway, there seems little chance of a rail service ever becoming a reality for Mangere, unless a designation is put in place soon. The remainder of the year is shaping up to be a busy one. I look forward to meeting as many members as possible on 19th June. Both Labour and the Greens are opposed to the Government’s introduction of 53-tonne trucks on our roads. KiwiRail to restore southern services? The Press reports KiwiRail is considering re-instating passenger services between Christchurch and Dunedin or Invercargill.